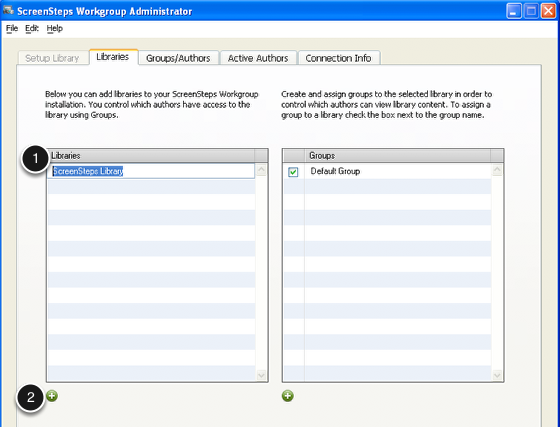 ScreenSteps Workgroup allows you to configure multiple libraries for each installation. You can the control who has access to a library by assigning groups to it. This allows you to have different documentation projects within your organization. The Libraries tab is where you can add, delete and assign groups to libraries. Double-click on a Library to edit the name. Use the + button to add a new library. You can delete a library by pressing the delete key while it is selected.